Super-Sonic™ amplifiers are the favorite tool of pro guitarists in many different musical genres who love to create glorious Fender® clean tones and expressive modern high-gain tones with one no-nonsense tube amp. The vintage channel is based on two legendary Fender favorites, and the awesome burn channel ignites musical inspiration with overdrive flavors ranging from bluesy to flame-throwing. The Super-Sonic 60 delivers increased bass response and fatter tone, and its heavily saturated tube overdrive and sustain can be fine-tuned without masking the tonal character of your guitar. 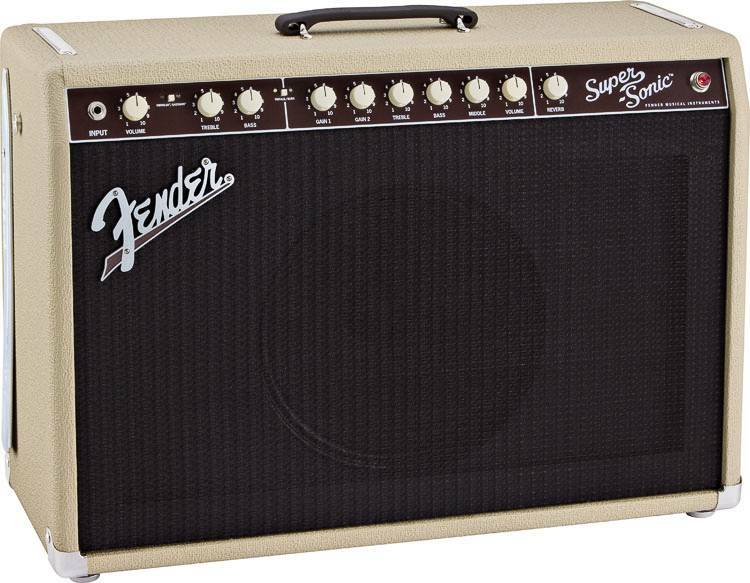 And by popular demand, the new Super-Sonic 60 model is available in 1961-style Blonde/Oxblood, with ivory “radio” knobs and flowing 1960s script logo.